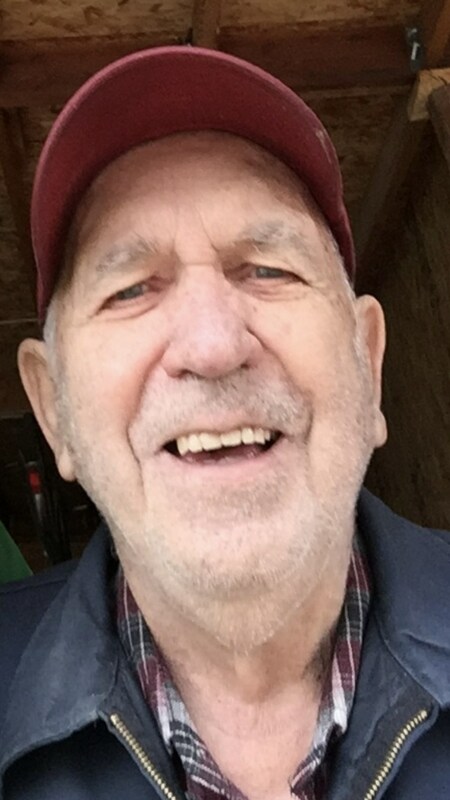 Gale Robert Ward passed away July 27, 2018 surrounded by his children in Pocatello, Idaho. Gale was born in Conner Creek, Idaho on March 31, 1931 to George Osmer Ward and Florence Lillian Winder Ward. Gale was the fifth of six children born to George and Florence. In Gale's youth, he enjoyed the outdoors and working with his hands. We all loved it when grandpa would tell stories of how he'd look for treasure, pedaled to a dance on a bicycle, and learned to rebuild a flathead V8. Gale was always mechanically minded and enjoyed working on his projects; he seemed to always have the answer on how to fix whatever was wrong with the mechanics. After high school, Gale married Lucille Jensen. They were sealed in the Logan Temple on September 15th, 1950. Shortly after that, they started their family. The first to join their family was Michael J. Ward. Ronald K. was born shortly after that and then came Robert Brent Ward. Kathleen was the caboose and completed the Ward family. Gale worked for the Idaho Fish & Game Department and then the Idaho State Highway Department, giving many years of service to the citizens of Idaho. Gale continued to use his mechanical skills for the state as well as at home. He loved working on his old cars, restoring them and taking them to car shows, and driving them in parades. We all knew that if grandpa didn't have a part, he'd make it. He was very talented and resourceful like that. He built the spindles on his 1921 runabout Model T using a lathe that he built out of an electric motor and a 4- speed gearbox. He designed and built a fully electric car from a 1979 Ford Courier pickup using some 6 volt batteries, a solar panel, a 48 volt electric motor and other electrical parts. Grandpa loved building and driving his projects. He had a goal to leave projects to his kids, which he fulfilled. Gale and Lucille divorced in 1981. Gale married Edna Faye Judd in 2002 and they stayed together until health wouldn't allow them to be together. Gale is survived by his 4 children, Michael, Ron (Malinda), Brent, Kathleen and four grandchildren, Shane, Heidi (Hill), Benjamin, and Jeremy. He is also survived by eight great-grandchildren. Gale was preceded in death by his parents and his siblings, George Osmer II (Sue Carol), Dennis (Mary Ann), Eloise (Bob Nelson Moon), Onadell (Richard Lyons), and Isabel (Fred Ingelbrett). A small graveside ceremony will be held Thursday August 2, 2018 at 2 p.m. followed by a luncheon at the Elba LDS church. The family would like to thank all those who helped watch over and care for Gale in his last months, including Faye's daughter, Peggy Moore, and his stalwart home teacher, Bill Louthmiller. Gale will be missed. Graveside services will be held at 2:00 p.m. on Thursday, August 2, 2018 at the Elba Cemetery. Arrangements are under the direction of Joel Heward Hansen Mortuary.